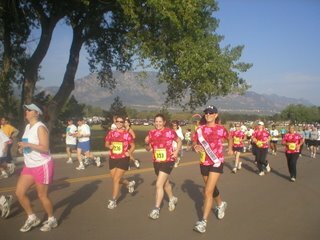 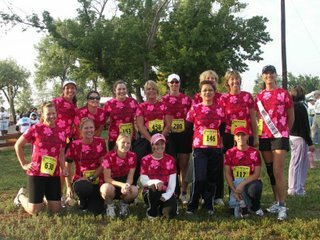 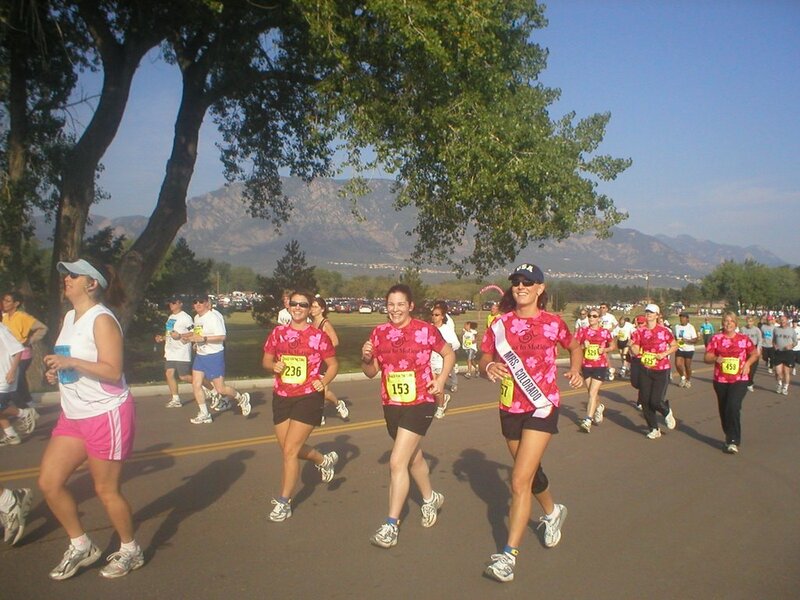 It was a great way to celebrate coming home from Mrs. America by running in the Race For The Cure 5K with the Mom's In Motion group in Colorado Springs yesterday. The race was held at Iron Horse Park on the Fort Carson Army Base. 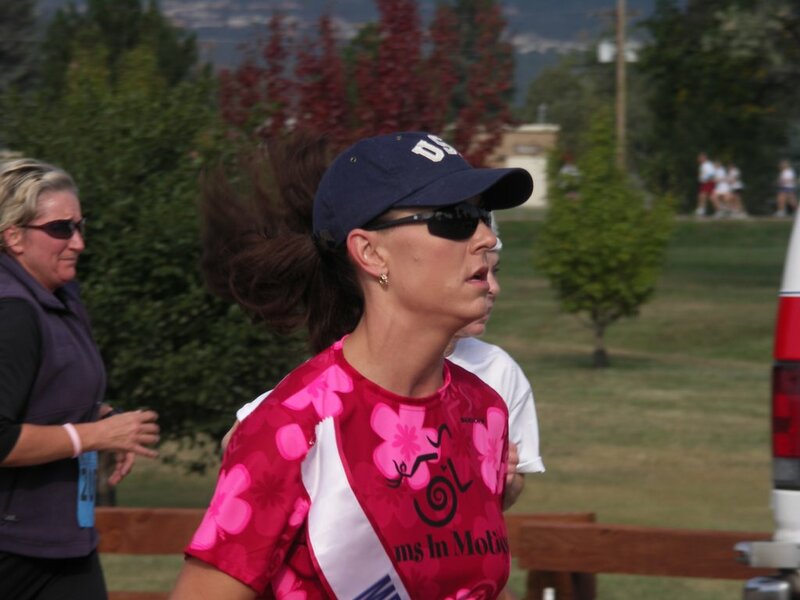 Toni (queen for the day) - we knew she could finish the 5K!